Quartz comes in many beautiful, consistent colors. We can fabricate your quartz countertops from any of these materials, but we have found that our customers are most happy with the color selection and quality of Cambria, so check it out first! 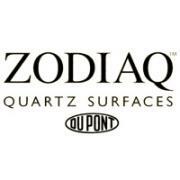 DuPont Zodiaq is made by the same company that manufacturers Corian solid surfacing. Elegant and practical, quartz stands up to the demands placed on kitchen countertops better than any product on the market. LG Viatera is made by the same company that produces HiMacs solid surfacing. You will never get sick from bacteria growing in your quartz countertop because quartz tops are non-porous and never require sealing. Pental has lots of colors to chose from at economical pricing. 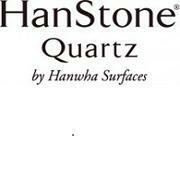 HanStone quartz is available in a host of colors. Caesarstone Quartz countertops are the ultimate combination of nature and technology. 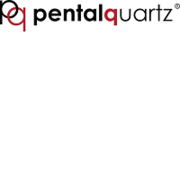 Non-porous, scratch and heat resistant and highly resistant to stains, Quartz is almost maintenance free. Silestone quartz never needs to be sealed and comes in a variety of colors. It is also radon free and NSF certified for use in food preparation areas. You can't say these things about granite!